Mixtapes by Reciprocity Radio host Amanda McCleod, plus a few favorite albums! All designed to get you into the cooking groove. A beautiful, relaxing record featuring Caetano Veloso accompanying vocalist Gal Costa on guitar. This is probably one of the most played records I own. It’s just a perfect, exhilarating, gift of a live album. It’s just the best, so put it on, turn it up, and let Sam transport you. The new Kurt Vile record is the perfect autumn album to throw on while you work on something cozy in the kitchen. It’s got a perfect flow, ruminative lyrics, and the perfect hit of alt country twang that I often crave the moment the leaves change in October. Did you know David Byrne made an album that features "many Afro-Cuban, Afro-Hispanic, and Brazilian song styles including merengue, Cuban Son, samba, mambo, cumbia, cha-cha-chá, bomba, and charanga" back in 1989? Well, now you do. This is a really fun record because you get all of those fun latin inspired instrumentations plus David Byrne's pathos laden vocals. I absolutely love this record, so much so that I had to buy the LP from Japan. Check it out below! Perhaps this is the one that started it all. Years ago I had my first Thanksgiving in New York, away from my family, at my friend Roxanne's apartment. Every year she hosts a huge dinner for those of us who can't get home to celebrate with their families, and we all gather together and eat and play games until we go into food comas. At the very first dinner I became pre-occupied with ipod DJing a whole set of food themed songs. The following Thanksgiving I found that original playlist and added even more songs. And then I did that again that next year, nd the next, and the next until I arrived at the playlist you see below. This one is pure food fun, a good mix of soul and 60s pop, and other fun tunes. I hope you'll consider it the next time you come together with friends or family for a holiday meal! Is there a more beautiful record out there than Van Morrison's Astral Weeks? A record more enveloping or arresting or magical? I think not. This is an obvious recommendation, I know, but I just picked up a vinyl copy finally. I found it at Grimey's in Nashville and as I was paying the owner said "oh yeah, this one's gonna get a lot of plays, it just never gets old." So since I've gone and put that record on, as I will many times over throughout the rest of my life, I'm sharing it with you here too. This playlist is title after "Gentle Hour" by Snapper, which is a song that's been covered by two of my favorite bands, Yo La Tengo and The Clean. I was thinking about framing a playlist around the idea of the song, around its sort of earnest, open tenderness. But then I went out on a bike ride and I let my "liked from radio" (over 600 songs) playlist on Spotify and the shuffle button be the DJ. The result is what you'll hear in this playlist, which I liked so much I copied everything down in the order it played. It's a fun mix of new and old, sweet and upbeat, and I think it'll make a fine kitchen accompaniment. I hope you'll enjoy, and also check out this amazing cover by The Clean. This is one of my favorite albums of all time. I'll never forget finding it for 5 bucks at Academy Records on east 12th street, I could not have felt luckier at the time. I mostly just wanted Rock Your Baby for the album's title single, but I was bowled over to find that the whole record is essentially non stop disco joy. Yo La Tengo even covered "You Can Have It All", one of the album's other popular singles. It's one of the few albums I can put on that never fails to get me into a good mood. I hope you'll enjoy it, and also check out this insanely psychedelic music video with some of the most robust dancing I have ever witnessed. I'm also going to start recommending records I love to cook to! First up this incredible album The Midnight Mover by Wilson Picket. 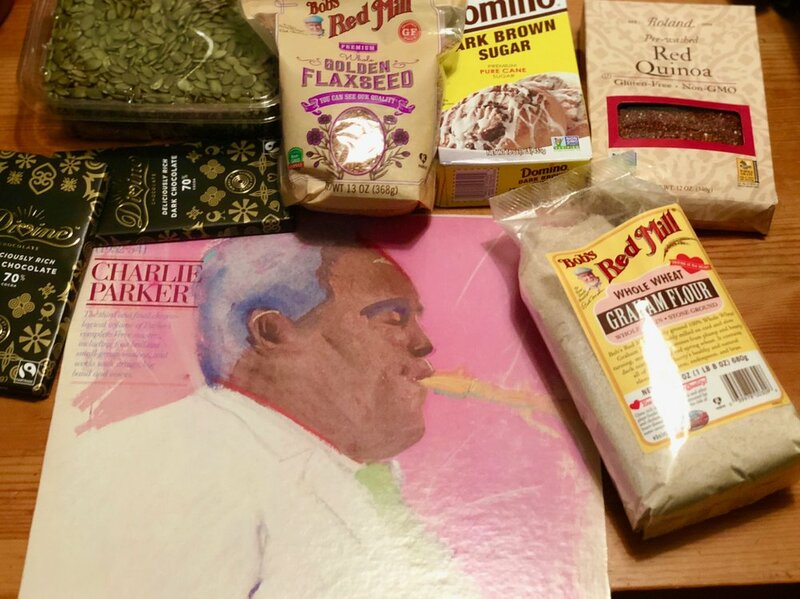 In our first addition of Cookin' Kitchen I'm sharing some of my all time Soul favorites. I'll be making a more upbeat, dance worthy playlist as a follow up, but this one is a little more mellow and you might find yourself breaking out into a song or a slow dance. Either way, I hope you enjoy it!